Histamine Intolerance - Is Food Making You Sick? Histamine Intolerance - Is Food Making You Sick? People all over the world suffer from histamine intolerance without being aware of it. How Can Histamine Intolerance Affect You? 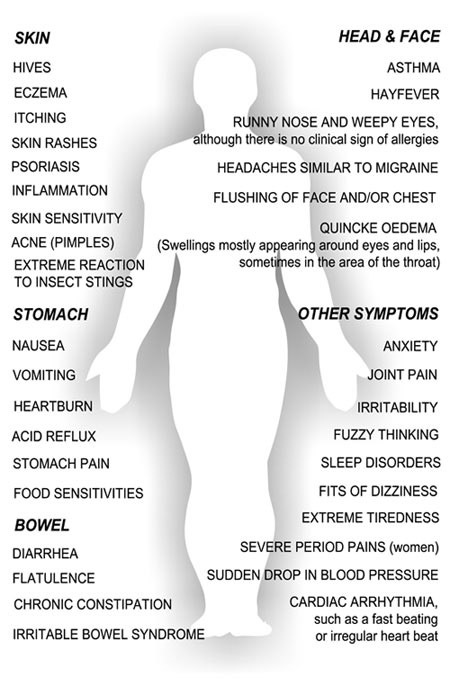 Histamine intolerance results when your body is ineffective at breaking down histamine. This condition can be genetic. It can also be caused or worsened by certain medications, foods, drinks and chronic illness. Too much histamine in your bloodstream can lead to a host of ailments. The symptoms are many and widely varied, often resembling food allergies or other diseases. They can affect the digestive system, the respiratory system, the skin and many other parts of the body. Many common foods contain high levels of histamine, or closely allied amines, or histamine-releasing compounds, or substances that block the normal break-down of histamine. If your health problems seem to have no obvious cause, it might be time to ask yourself the question – is food making you sick? The bestseller ‘Is Food Making You Sick? The Strictly Low Histamine Diet’ explains how to beat histamine intolerance, eating only low histamine foods. To go strictly low histamine you must avoid even so much as a squeeze of lemon juice or a pinch of cinnamon. Fortunately there are healthy, delicious alternatives for people with histamine intolerance, and this book discusses them, as well as providing over 150 recipes. Histamine intolerance symptoms may endure throughout our entire lives if we continue to consume large amounts of histamine. Histamine is colorless, odorless and tasteless – undetectable except by scientific analysis, and yet crucial to our well-being. Individual histamine tolerance thresholds vary greatly. A range of circumstances including our genes, our environment, our diet and stress, cause our bodies’ histamine levels to rise. If they rise faster than our bodies can break them down, we experience the excessive inflammation brought on by histamine intolerance, or HIT. Antihistamine drugs can help alleviate symptoms, but they can have negative consequences if taken over a long period. The good news is, if we can understand what is happening and why, we can treat or prevent this widely unrecognized condition. The information provided on this website is intended only to aid you in making informed decisions about your health. It is not intended to be a substitute for advice and treatment prescribed by a registered dietitian, nutritionist or doctor. The content of this website may not be used as a basis or means for any form of self-diagnosis. If you suspect that you have a medical problem, we urge you to seek the help of a medical practitioner.